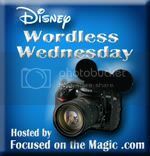 Since today is Wednesday, it's time for another Disney Wordless Wednesday! 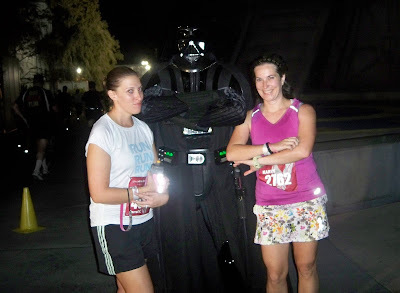 In honor of "Star Wars Day" (May the 4th be with you)...I dug up a couple of runDisney pictures with my favorite Star Wars guys! I haven't participated in either the Light Side or Dark Side Challenges, so these pictures were taken before that time. I think some of these were even taken before the Star Wars/Disney partnership was announced! Whoa. The first photo was taken during Disneyland's Half Marathon in 2013 and the second was taken during the Inaugural Wine & Dine Half Marathon in 2010! Happy Star Wars Day! What fun pictures!! I love that Disney joined forces with Star Wars (Lucas) so that we can all have great experiences like you did. Mine obviously isn't either! Haha I call it an "almost" Wordless Wednesday! Great pics Karen. I got my place in Disneyland Paris half for September- can't wait! You were quite an inspiration! Congratulations by the way! Oh my goodness how exciting!! I can't wait to hear about it!!! Love these race photos. The inner Disney geek in me wants to make an effort to do one.